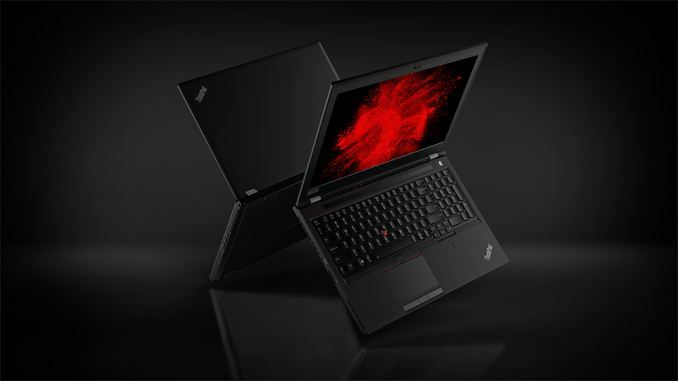 The new ThinkPad P52, according to Lenovo, 'sets the standard for mobile workstations by combining ThinkPad build-quality along with cutting-edge technology'. All the horsepower is designed to handle modern workloads like VR and AR content, 3D rendering, and video editing, all in a mobile solution. 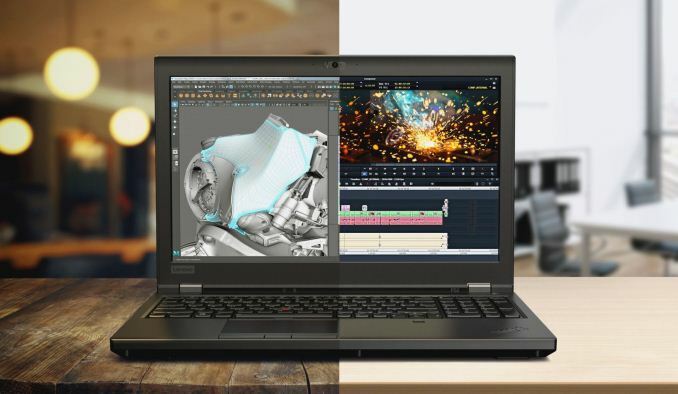 Lenovo adds an NVIDIA Quadro P3200 GPU along with Intel Hexa-core CPUs (even a Xeon option) delivering their first 15-inch VR-Ready Certified mobile workstation to market. The chassis doesn’t look much different at all from previous ThinkPad,s with its black chassis and ‘for business’ styling. About the only changes are a marginally revised keyboard which still keeps the dedicated number pad along with a Wi-Fi status LED and the "ThinkShutter" (webcam cover), for an optional IR Camera that supporting Windows Hello. In regards to ports, Lenovo has chosen to add another Thunderbolt 3 port, for a total of two, and eliminating a USB Type-A port and bottom docking connector. It can dock with the ThinkPad Thunderbolt Workstation dock instead. Other connectors include three USB 3.0 ports, HDMI (2.0) and mini-DisplayPort (1.4), mic/headphone combo jack, RJ45 for Gigabit Ethernet as well as SD and Smart Card readers. Wireless duties are handled by the Intel 9560 CNVi device supporting 802.11ac and maximum speeds to 1.74 Gbps along with Bluetooth 5.0. It also has WWAN options in a Fibocomm 4G LTE card. The P52 includes a choice of two displays, the base 15.6-inch in 1920x1080 FHD panel with 300nits brightness and 72% NTSC color gamut or a 15.6-inch 3840x2160 (UHD) model with 400nits and 100% Adobe color gamut. Driving the panels is up to a NVIDIA Quadro P3200 which is a notable improvement over previous generations who maxed out at Quadro 2000 series GPUs. The Quadro 3200 is based on Pascal GPU architecture and comes with 6GB of GDDR5. CPU choices are not listed in detail but they did state up to hex-core 8th Generation Intel Xeon and Core CPUs. I would expect to see something from the U-series processors here. A notable option here is with the RAM with the Lenovo P52 offering up to a whopping 128GB of non-ECC RAM or 64GB of ECC RAM. In order to hit 128 GB of non-ECC, Lenovo are likely using Samsung's recently announced 32 GB SO-DIMM modules we reported on recently. Storage is listed as up to 6TB and uses a combination of PCIe M.2 device and 2.5" HDDs to get there. 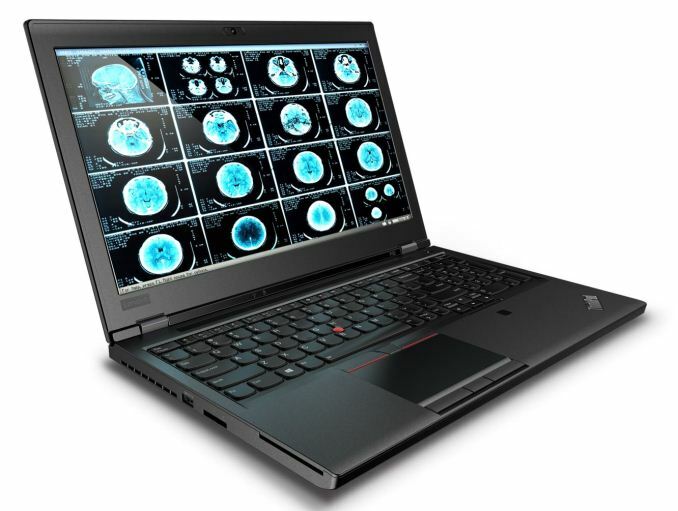 Lenovo did not mention a price for the ThinkPad P52 mobile workstation but did say it would be available this month.